PTCL brings another SMS based CMS (Complaint Management System), the new 1218 SMS system along with existing 1218 and 1216 system. As part of its efforts to provide quality customer care services and to achieve highest level of customer satisfaction by offering variety of services and convenient channels of interaction to its customers. 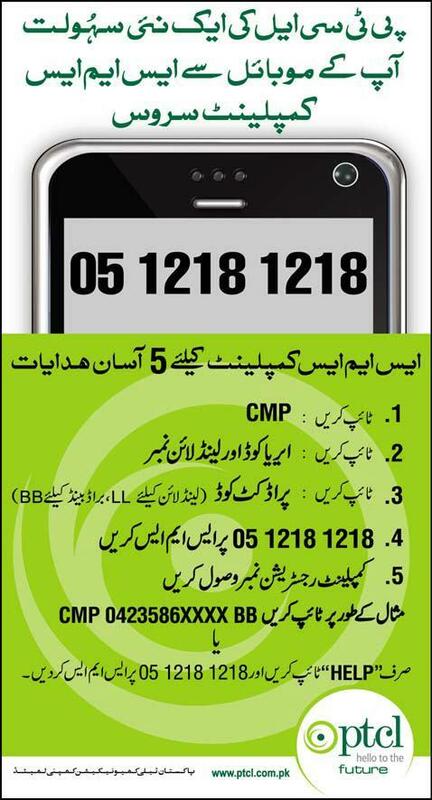 PTCL is now offering complaint registration through SMS from your cell phones. How to complain to PTCL from a Mobile Phone through SMS ?